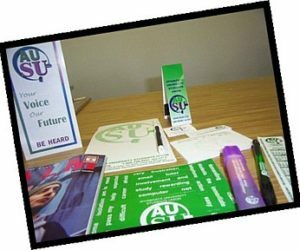 I would like to publicly thank the AUSU for the gift pack sent out to students in the recent months. The package was so fun to receive in the mail! Lots of little goodies and useful things! It was a great pick-me-up in the midst of finals and assignments.